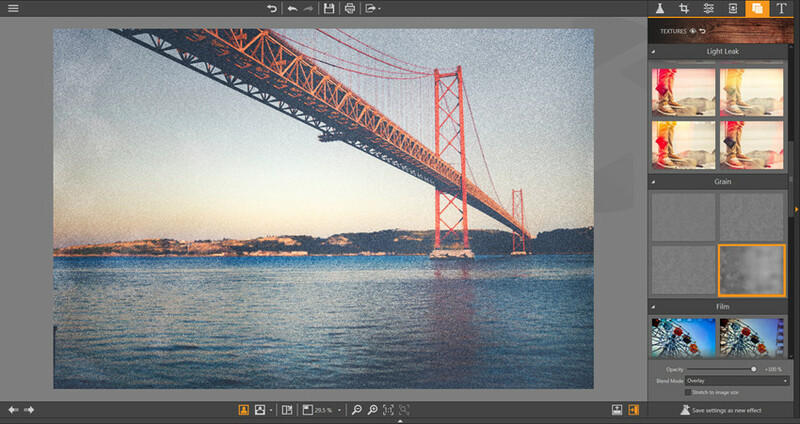 In this guide, we’re going to introduce the detailed steps about how to apply textures to your photo. Step 1. Install and start Fotophire Editing Toolkit, and then select Photo Editor. After that, add the photo from computer to program window, and then click the Textures icon to enter Textures panel. Step 2. 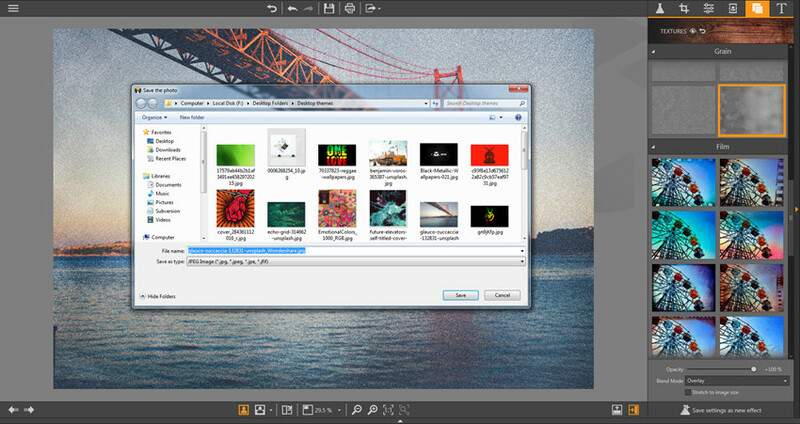 Select a texture you want and you’ll see the preview immediately in the program window. Step 3. If you’re satisfied with the texture you select, you can click the Save button at the top middle of the program window to save the picture to your computer. 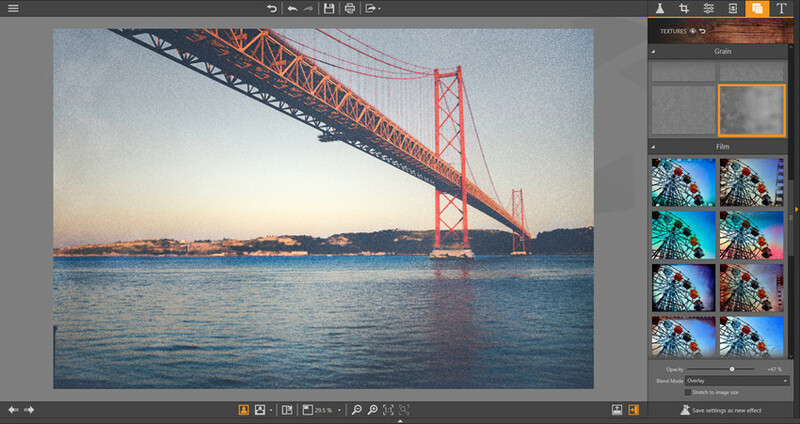 Opacity: You can adjust the transparency of the texture on your photo with this tool. 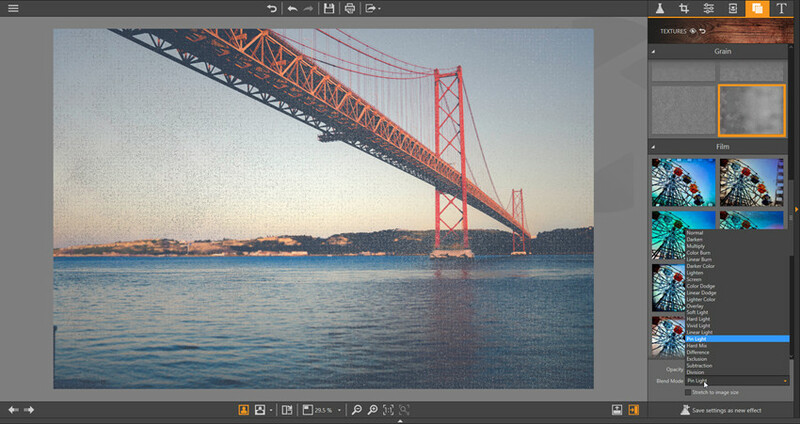 Blend Mode: With this option, you can adjust how the texture pixels merge with photo pixels.